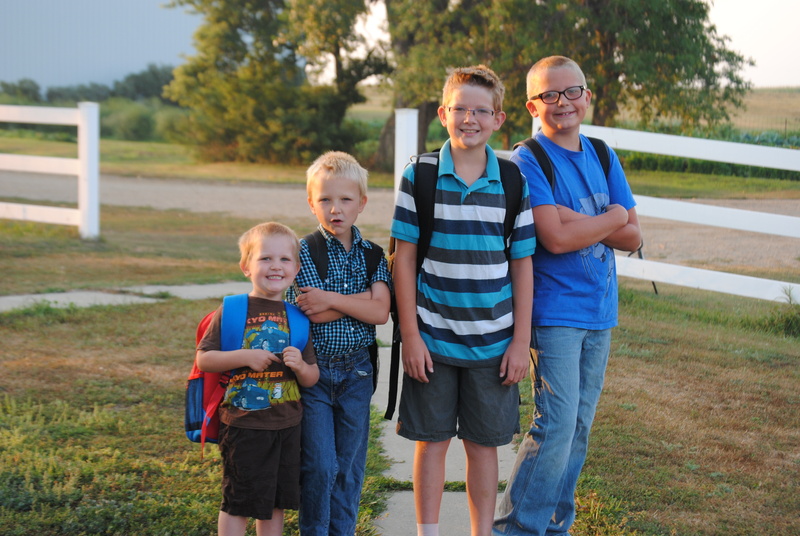 School kicked off yesterday. I couldn’t wait until I could get home and ask my children how their day went. Did they like their new teachers? Did they have any new classmates? Meet any new friends? As a typical mother, I was starved for details! And also at the top of my mind? Were my children starved as well? Do the these boys look like they would all eat the same amount of food? 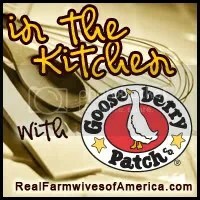 For those new to my blog, not only am I a farm wife, a mother of four boys and a lover of all things agriculture, I’m also passionate about a few causes. One of those just so happens to be the new school lunch guidelines. Perhaps it’s because those mandates not only hit me in the pocketbook, they hit my children in the stomach…and it’s something that I cannot stand to see. So I sat down with my two oldest children, and asked how the day went, I asked about recess, I asked about teachers, I asked about lunch. And what I heard made my heart sink. My oldest (in sixth grade) told me a story about his lunch. He explained that he was served three chicken strips, about the size of his pinky. And they were good, but you had to pay for seconds to get three more. A friend of his also wanted seconds, but he said he didn’t have school lunch money. (Which in the sixth-grade world, I would take to mean that either he’s on the free-or-reduced-lunch program, but isn’t allowed seconds because even the free-lunch program students need to pay the full price for seconds OR his parents have requested that he not be allowed to go back for seconds.) So he asked another friend to go back for seconds and share his food, which his friend more than happily obliged. Here are the two things you can take away from this: 1) There is an amazing group of boys in that class that watch out for each other, and 2) The new school lunch guidelines are causing an even larger hurdle for parents to overcome. Why are schools required to charge a minimum price for lunch? Why are schools mandated to charge for seconds? What is the purpose of calorie limits, unless it is to put our whole public school system on a diet? What else will be at risk if a school were to turn away from the nutrition program? Why are educational funding dollars connected directly to the nutrition program, for example, Title One? I’ve asked these questions multiple times, including directly to the USDA during a Twitter chat regarding school lunch. All I received was the typical song and dance, no real answers and no real hope of anything being done. Can I pack my children’s lunch? Certainly. In fact, I could cater them a meal to the school and not have a worry in the world about their tummy’s rumbling come the bus ride home. But that’s hardly the point. The system is broken. The “Band-Aid” to fix it is doing little to address the problem, and creating more in its wake. The media is touting the new guidelines, claiming that our obesity rates are dropping. But I have news for you. They were dropping prior to all of the new mandates. And they can continue to drop with education, and a large variety of offerings at our schools, not calorie limits and federally mandated diets. No, I will not sit quietly by and listen to my son tell stories about how a couple of elementary students have found a way to beat the system. I will step in and work to change the system. It’s not the children that are broken…it’s the one-size-fits-all regulations that are in place. I have no doubt that this will be an uphill battle, and there’s a good chance that I won’t get all of the changes that I am hoping for, but I know I’m not alone. In fact, there’s even a whole Facebook page dedicated to seeing Sensible changes. And I’m hoping that one day, before too long, children won’t have to be ashamed that they are hungry, and they won’t have to rely on close friends to smuggle them food. Not when there is plenty in front of them. As many of you are aware, the Healthy, Hunger-Free Kids Act of 2010 has been met with resistance, by not only parents and students, but by elected officials as well. Recently, Congressional delegates from many states (including North Dakota and South Dakota) have introduced legislation that would eliminate the caps on grains and lean-meat protein sources that are currently limited in the new guidelines. Although these are great steps in making the Healthy, Hunger-Free Kids Act a better tool to tackle issues with school lunch, I personally feel that focusing on just those two limitations is not enough to make a change in the program. Calorie caps cannot be mandated on a national level. There are too many variables that can be better addressed locally. These boys come in all shapes and sizes, and there appetites and nutritional requirements do, too! And isn’t that what we strive for? Local control over local issues? So, if the federal mandates on school lunch are not satisfactory, what do they tackle next? School snacks. That’s right, we now have proposed guidelines that address items that are sold in school, including fundraisers and items sold during the school day (including seconds, or ala carte items). – Limiting the amount and use of accompaniments used with food, such as cream cheese, salad dressing and butter. They also propose that accompaniments be pre-portioned and included in the “nutrient profile” when served. For example, if a bagel were served they would possibly include a pre-determined amount of cream cheese, and those calories would be included in the calorie limit, whether or not the student would want to use cream cheese. – Limiting the calories allowed for snacks. The proposed limits are 200 calories for snack items, 350 calories for entrée items. Remember when the solution to hungry athletes was to allow them to purchase seconds if they needed more food to get through the day? Well, now those seconds will be limited as well. – School fundraisers would be encouraged to not involve food items. Those items that do not fall into the proposed guidelines would be limited. Although, there is some confusion in this section of the proposal, since the guidelines would not apply to non-school hours. – All schools could sell plain water, plain low-fat milk, plain or flavored fat-free milk and milk alternatives and 100% fruit or vegetable juice, but elementary school could only sell up to 8-ounce portions, while middle schools and high schools could sell up to 12 ounce portions. Ironically, you could not sell a regular cola, but a diet cola would be OK. The list continues on, and gets even more complicated. But the beauty of it all, is that this is just a proposal. It is open for public comment until April 9, so let’s be sure that our voices are heard, loud and clear, before the final recommendations are set. Our kids are depending on us to make the right decisions, and we cannot rely on anyone else to make them for us. Need more information? There will be a public webinar on Thursday, March 28 from 10 to 11:30 a.m. EST. I asked a few students that I know to write their thoughts on school lunch. A few months ago, my son wrote a letter expressing his concerns, and today I give you another letter. But this letter is a little different. This letter comes from a high school student, who not only understands the value of the improvements, but enjoys some of them as well. She’s not interested in scrapping the new guidelines, but tweaking them to make it fit better for ALL students. (Photo courtesy of Kelsie Jenkins) Random shot of an actual high school lunch tray. Can anyone name the major item missing from this tray? (And yes, milk, cheese and bread do contain a bit of this item, so don’t get too technical on me.) 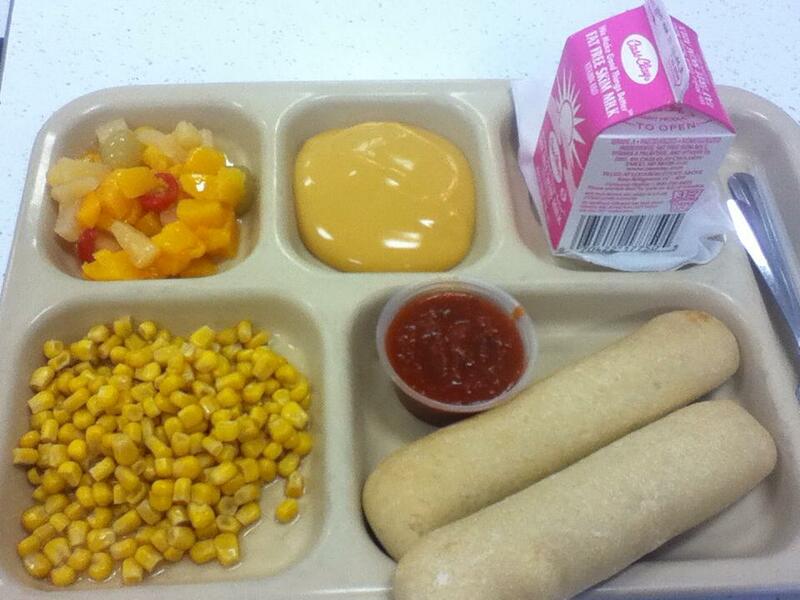 And by the way, the elementary students only received one breadstick. Lower calorie limits, you know. Compromise? Flexibility? Amazing concepts…and even more amazing that a high school student can see the need, when it appears as if others cannot. I can see both good and bad in our new school lunch plan. I mean, some of our meals aren’t actually too awful. I like the fact that we have more fresh fruits and veggies on the salad bar. Also, I do agree with implementing healthier foods into the school lunch program. It’s not like we’re missing out by eliminating having potato chips as a side dish, but overall I just don’t think this new lunch plan is being carried out the right way. The biggest flaw I see in this new change to our lunch is the portion sizes. Personally, I don’t need a huge meal at lunchtime to get myself through the day as long as I make sure to eat breakfast in the morning. I, however, am one of those students that doesn’t have sports practice after school. I know these people definitely need much more food than I do. Also, I know that the elementary student’s portion sizes are smaller than ours. I remember needing a lot more to eat than I do now because I was growing and just hungry all the time. This is why I think the drastic portion size changes were a bad idea. Not every person is the same. Just like every student doesn’t have the same educational needs, not every student is going to have the same nutritional needs. Some kids just need more food to get themselves through the day. I don’t think it’s really fair to give everyone the same portion size, when every individual has different needs. Also, some of the lunches are a little ridiculous. The worst days are when we have salad for lunch. Now, having salad as a main course wasn’t bad before all these changes were made. Enough things were put on it to make it actually have some sustenance. It would be piled with meat and cheese, and we were allowed to put as many croutons, and as much salad dressing on it as we wished. Now, we get a small scoop of shredded cheese, a minimal amount of meat, and a hard boiled egg. I doubt this measly amount of lettuce is getting any basketball players or wrestlers through the day. Really, I just think this program needs a bit more tweaking. It’s not like us students are going to have major health consequences if we have cheese on our crispitos, or a bit more meat every once in awhile. Thank you, Ashley, for giving me your honest opinion, and for being willing to share your thoughts with others. Pointless? There’s nothing you can do? Not at all. There is legislation being proposed to improve the guidelines. Perfect? Is there ever a piece of legislation that’s perfect? But it’s a good start. And a great starting point. 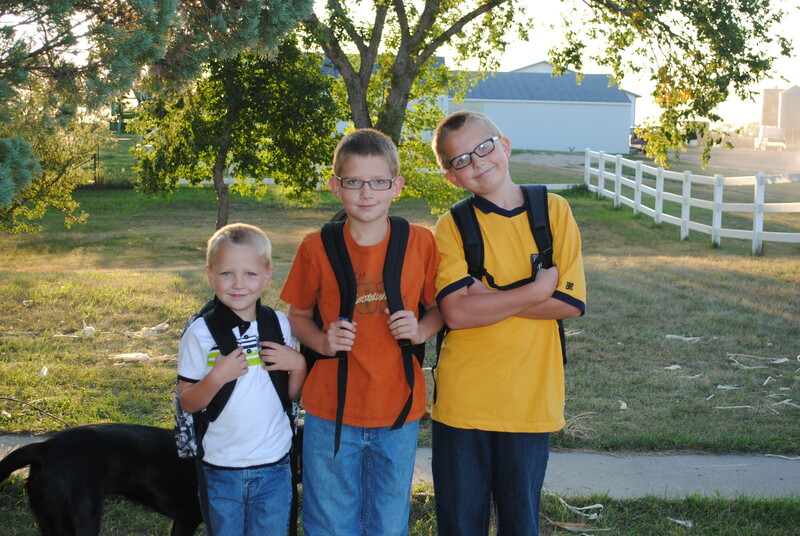 Be sure to thank Sen. Hoeven from the great state of North Dakota for stepping up for our children! And be sure to check out more thoughts from my dear friend Katie over at Pinke Post. This subject hits near and dear to our hearts. I’ll soon be tackling the new proposed guidelines for school snacks. Yes, they now want to regulate items sold inside the school. And guess what? Seconds (remember when they said that hungry kids could just pay for more food?) are included in these regulations. Tonight is Scooter’s first football game…and I cannot wait! I wasn’t extremely active in sports during my high school days. We lived 16 miles from town and we had to pick and choose the activities we were involved in wisely, so that we weren’t wasting trips to town, working around schedules, etc. I played basketball until a knee injury sidelined me, and then I became a cheerleader. I quickly found that my calling was supporting others, cheering them on, trying to infuse energy and excitement into situations…I guess I’m still kind of in that mindset. 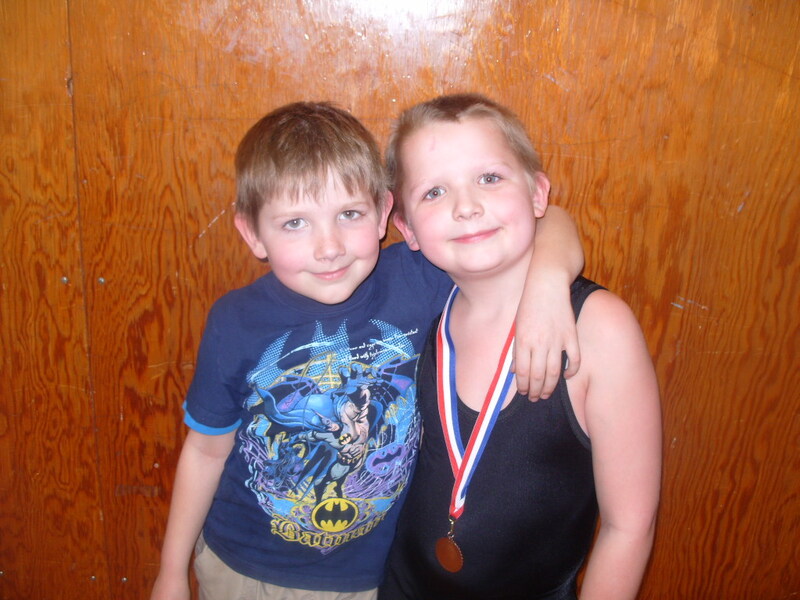 But tonight I get to cheer on my favorite athlete of all time, my son. Scooter and his older/younger brothers. He’s the one in the football gear. 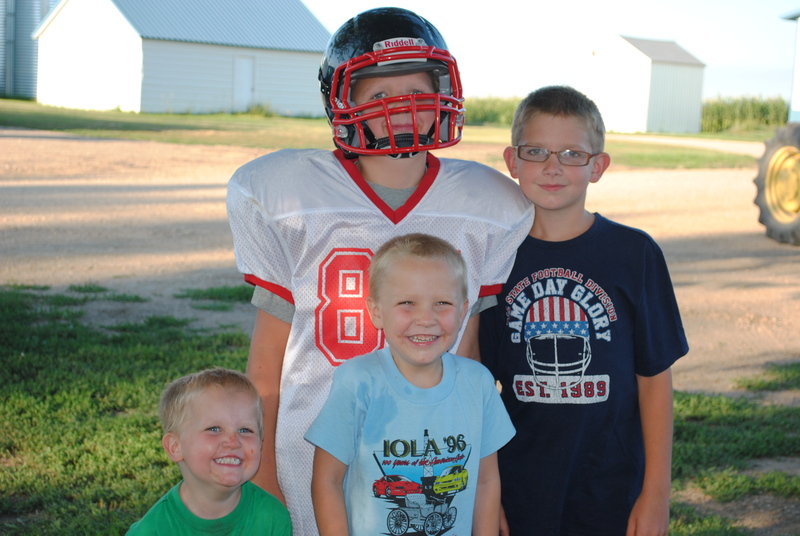 With his size and appetite (he’s 8 years old, and he’s 5’1″ and weighs 105 pounds…he’s my NFL hopeful! 😉 Just kidding, of course…kinda), I knew that I would have to bulk it up a bit today. He gets up at 6:40 in the morning, gets on the bus by 7:20 and arrives at school around 8:30. This morning he had a poptart (because breakfast wasn’t ready fast enough) and an egg sandwich. Then when he gets to school he eats breakfast there. His lunch is at 11:20 or so and I won’t see him to feed him until almost 6 tonight. So I packed snacks. That’s the plan behind the new school lunch guidelines – for parents to take over and provide more nutrition for those kids that need it. And I’m willing to do my part, but there’s a catch. You see, the snacks have to make it to the desired time period. I have to remind my son that he can’t eat them on the way to school. That he needs to save them for in the afternoon. And I have to make sure that the teacher is on board with this. Normally the snack rule in our school has always been that if one person has a snack, they must bring enough for all…but that has to change with the new rules. And the snacks are supposed to change as well. Yet, when I pack a snack at 6:30 in the morning, knowing they won’t be ate (hopefully) until 2 in the afternoon, and without the benefits of a refrigerator or a microwave, I’m a tad limited in my options. Grapes, granola bars, fruit snacks…some are healthy, some are not within the new guidelines. But more importantly, they’ll give my son the energy needed to get through the day. My biggest concern is making sure he has enough energy to be physically active and not get hurt. Because an athlete that can’t focus or is lethargic on the field is a disaster (and an injury) waiting to happen. I want my son fed AND safe…is that too much to ask? From noon to 1 p.m., I sat at my computer (thank you George, for taking an unexpected nap!) and participated in the chat. I retweeted information, I asked questions and I commented on answers…I seemed to have more involvement than the party that was hosting, as did many of the concerned parents, students and citizens that participated. What did I learn? I learned that we have a long way to go to make improvements. I learned that you can successfully have a non-conversation, not answering questions and referring to links and policy…and never once offer a real solution. I learned that the “science” behind the changes isn’t easy to get to, and that parents are going to have to step it up for awhile. But I also learned that we have a lot of people supporting change, and that we can work together and make more people aware of the issues that are happening at our schools. I didn’t expect our questions to be answered, I didn’t expect to feel fine with the whole program after an hour of “chatting.” But I also didn’t expect to feel ignored and for the issue to be sidestepped at every question. Later they supplied this link for more information…it just includes the information we already have regarding school lunch, free and reduced-price meals and the school breakfast program. No additional resources, no new snack program, no real answer at all. That was the way the majority of the hour went. So where are we now? Well, we’re gaining support, spreading the word and making everyone aware of the short-comings of the new mandates in our lunchrooms. Our schools are being held hostage and our students are paying the ransom. For more information, check out the Sensible School Lunches Facebook page and browse the information available there. Join in the conversation and share your tips and tricks for getting children the nutrients they need, while working through these restrictions. Why the fuss about lunch? I’ve been getting a lot of questions, some support and a little flak about my position on the changes to the school foods rule. And I thought maybe I should explain where I’m coming from, so that those that are reading my opinions can understand my point of view a little better. Let me start off by saying that I was not raised to stand my ground. In fact, if anything, it was the opposite. My mother is a “pleaser.” She will do anything/everything to not make waves, go with the flow, whatever phrase you want to use. (My oldest is just like her.) My dad has his opinions, and you would never change his mind…but you’d never hear him talk about it either. There are many, many things that I like about the new rules. I love the addition of fresh fruits/vegetables. I love the ideas of expanding food choices, introducing them to new foods. Love that. I understand the thoughts behind the calorie limits, and appreciate the work that went into figuring where to draw the line. I get the reason behind limiting sodium intake. Really. I do. But my inner “mother bear” comes out when you start messing with my children…even more so when it comes to something I’m very sensitive about, such as their diets. With George’s diagnosis of OTC, we work closely with a dietician at Mayo. Through the last few years, we’ve been made VERY aware of the importance of proper nutrition for growing bodies. Now, I know that the changes made to the school lunch program must have followed a dietician’s suggestion…perhaps even a team of dieticians. But it still doesn’t hit all the marks that I’m looking for in a good, well-balanced meal. And not necessarily for every child, but for mine…which is who I am fighting for (and I know I’m not alone). I’m not complaining to my school administration. I’m not complaining to my school board. I know they are doing the best they can with what they have been given. I am writing those that have the power to make a change, and I’m using the tools that are available to me (social media, for one) to encourage others to do the same. This isn’t a witch hunt, I’m not looking for someone to blame. I don’t care who signed the law, I don’t care which party they are from. I want to know who I can talk to that will work with me to make changes…that’s all I need. We have passed the eras where laws are made and citizens no longer question them and just follow along blindly, assuming that everything was made in good-faith effort to do the best for those involved. (Did that time ever truly exist?) We are in an age where we are expected to stand up for what’s right and ask to make changes when things aren’t working…and this isn’t working for me and my family. I won’t spread rumors, I will try not to state anything without doing my research. I won’t place blame. I will just work towards a change. But I have to be vocal about what I find, or questions I may have…I have to use the tools that are at my disposal to get my message out to those who need to hear, and to those that can join in the movement. I won’t stand by and watch an injustice when there’s something I can do…I’d say I wasn’t raised that way, but that’s not completely true. Let’s just say that I’m not raising my children that way. With the changes made to the school lunch program, our school lunch menu now offers cereal, toast, juice and milk for breakfast. No meat/meat alternative protein source. So I stumbled across a recipe that will make our mornings start off on a great note, and will hopefully help tide my kids over until lunch. It was simple, easy and best-of-all, a great breakfast option. 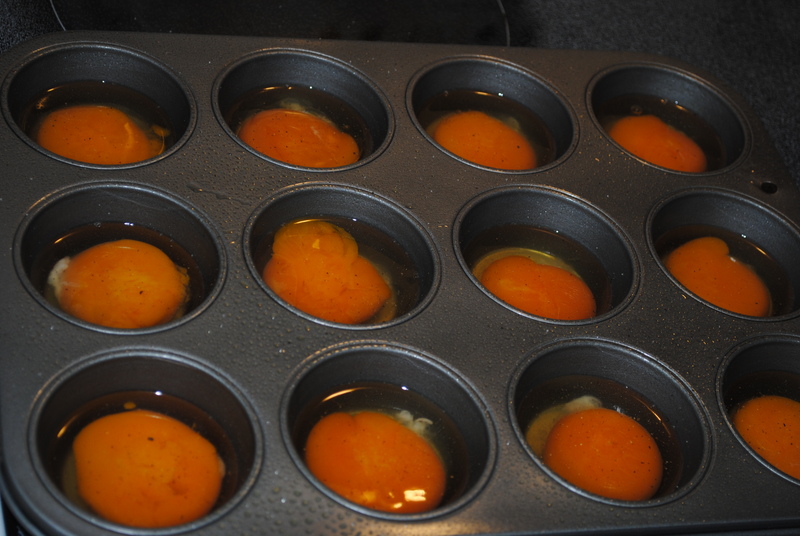 First, I started off with a muffin tin, cooking spray, and eggs. 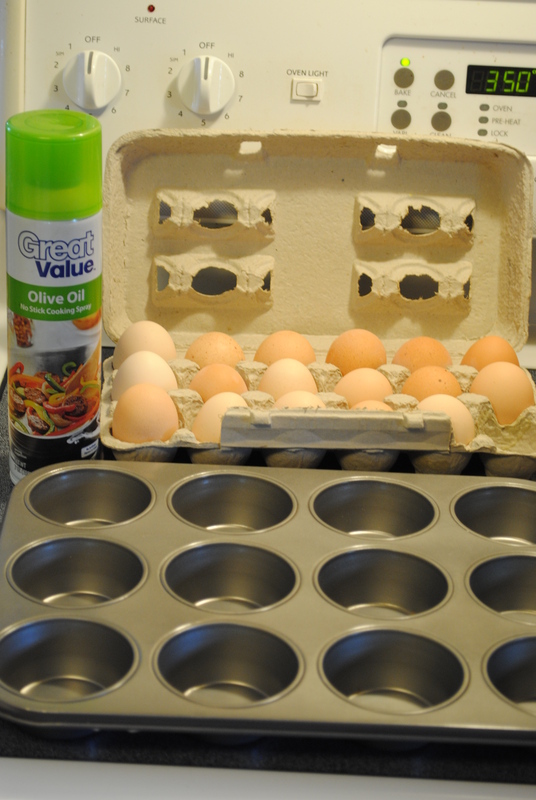 Muffin tin, eggs and cooking spray. 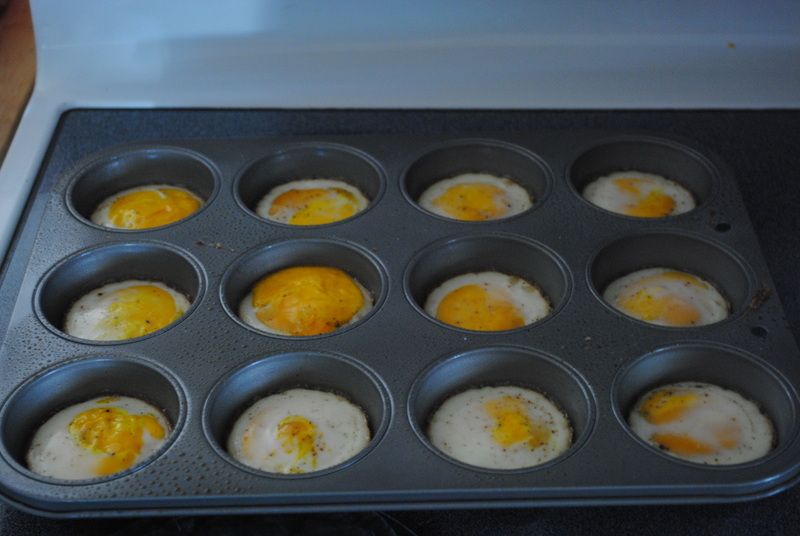 Spray down your muffin tin, crack an egg in each spot. I added a little salt and pepper, so that I controlled the amount they used! Bake at 350 for 15-20 minutes (until done). Let them cool (or eat right away! 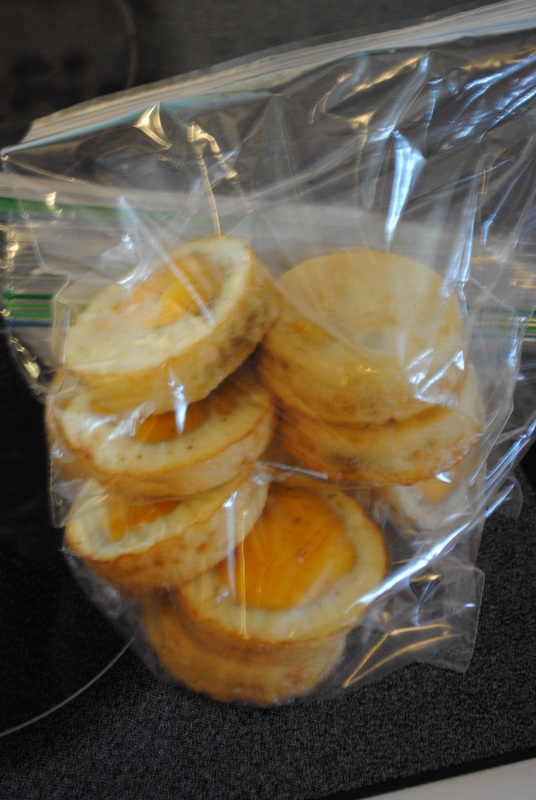 ), slide out of the pan, place in freezer bags and pop them in the freezer. I put 4 in a bag, 2 for Scooter, 1 for Big Bro and 1 for EJ. I can now grab a bag, microwave it for 30-45 seconds, throw it on an English muffin, serve with a slice of toast or just simply let them eat as is. Simple, easy and a great source of protein in the morning…and we all know how important breakfast is, right? Well, at least most of us.